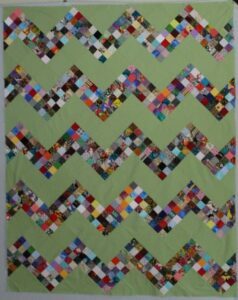 Using the leftover jelly roll strips from the Pickledish quilt top, I made 16 Lake Cabin blocks. The Lake Cabin pattern called for sashing strips between the blocks, but I like the look of them set side-by-side. All the work of organizing my stash paid off when I easily found this perfect batik print for the border. 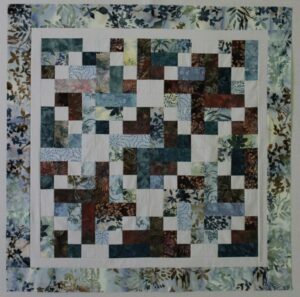 It was a 1/2 yard piece and every inch was used in this quilt top (42″ square). 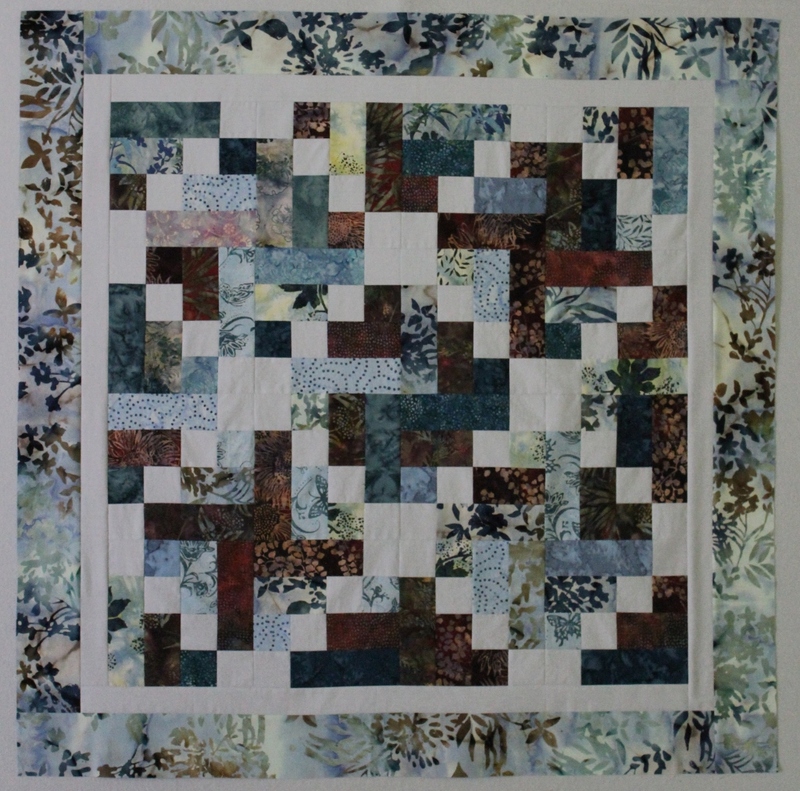 I am calling this one Blue Lake Cabin quilt – my names are usually more descriptive than fancy. Right now I am machine quilting this top that was made last month. 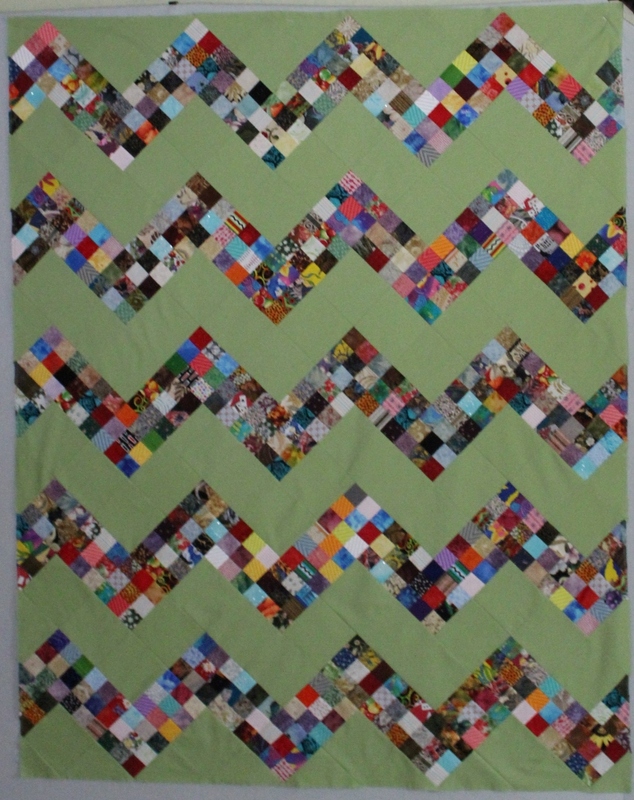 I am stitching zigzags in the green blocks while deciding on the quilting motif for the scrappy blocks. The plan is to have it completed over this holiday weekend. The Cascades pattern will be the next project. It calls for 18 – 20 fat quarters which I have been washing in between all the other sewing.